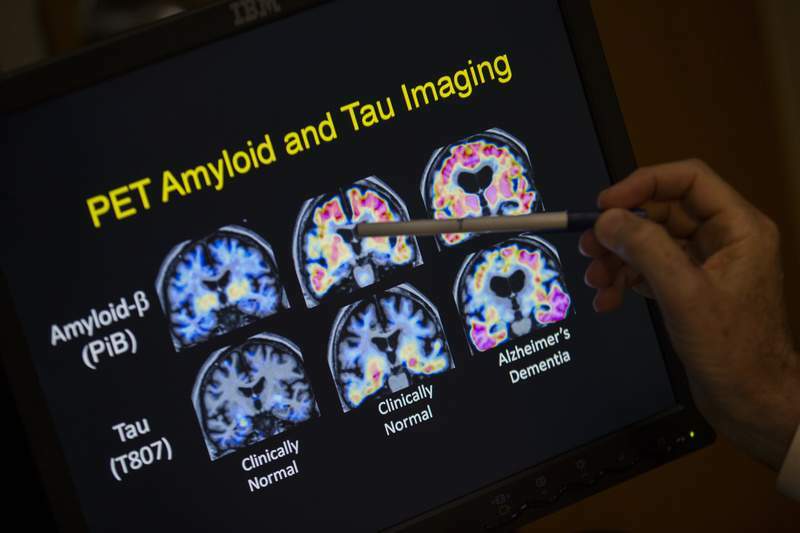 Associated Press Scientists are pushing for new ways to determine Alzheimer's disease, such as brain scans that find changes rather than relying on memory loss tests. They believe the earlier detection will improve studies and help find effective treatments. Government and other scientists are proposing a new way to define Alzheimer's disease – basing it on biological signs, such as brain changes, rather than memory loss and other symptoms of dementia. The move is aimed at improving research, by using more objective criteria like brain scans to pick patients for studies and enroll them sooner. About 50 million people have dementia, and Alzheimer's is the most common form. In the U.S., about 5.7 million have Alzheimer's under its current definition, which is based on memory problems and other symptoms. About one-third of people over 70 who show no thinking problems actually have brain signs that suggest Alzheimer's, Jack said. Dozens of hoped-for treatments have failed, and doctors think one reason may be that the studies enrolled patients after too much brain damage had occurred. “By the time that you have the diagnosis of the disease, it's very late,” said Dr. Eliezer Masliah, neuroscience chief at the Institute on Aging. “What we've realized is that you have to go earlier and earlier and earlier,” just as doctors found with treating cancer, he said.